As All Hallows’ Eve approaches, we thought we’d check back in with the action-RPG/zombie survival game, Zombasite, which saw a full release back in August. 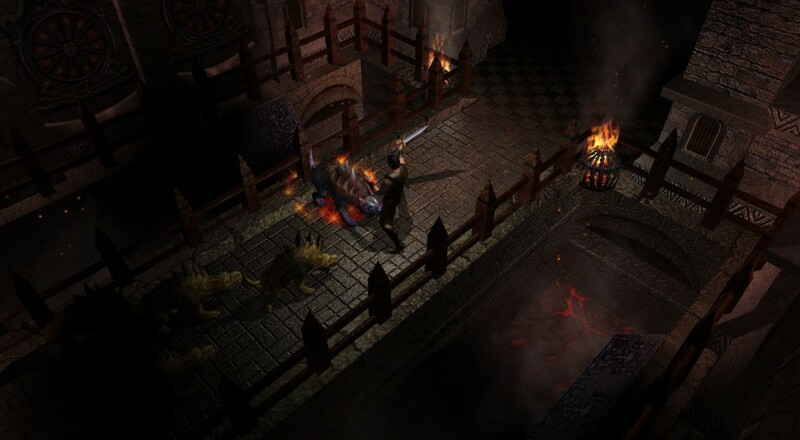 While the title has received some updates and tweaks since we last took a look at it, the core elements remain unchanged and are still worth exploring for those of you who want a more robust ARPG. Much of your time in Zombasite will be spent attacking monsters, earning experience to level up, and gathering loot from everything you can. Those familiar action-RPG mechanics, however, take on a new meaning in this title. In addition to loot and experience, going out into the world and slaying monsters also help you achieve a greater goal: ensuring your clan’s survival. Whether it’s completing a quest to defeat an imminent threat, or simply gathering food so your clan doesn’t starve, you’re not out there clicking away solely for your own benefit. There are multiple victory conditions in the game, such as solving all the quests in the area or forming an alliance with all of the rival clans, but there are only two ways you can lose: all of your clan NPCs are killed, or the “healthstone” at the center of your town is destroyed. Thus, Zombasite goes a little beyond being just an ARPG. It certainly utilizes those gameplay mechanics but it also incorporates ideas from survival titles and roguelikes. You aren’t out to battle some great evil and save the world, you’re just trying to survive another day. While the rote ARPG routine (i.e., leveling up, grinding for better gear, farming zones) is at the forefront of the gameplay, it is by no means the only system with which you’ll contend. You’ll have to establish diplomatic relations with other clans, manage internal clan relations, resolve quests before they expire, deal with crafting and repairing equipment, and fight off attacks made against your clan, all while keeping an eye on the ever-increasing “zombie threat.” There’s a red bar at the bottom of the screen that steadily increases the longer you play to keep track of this threat. It starts off at 0 and maxes at 100, and the amount by which it increases is actually a factor you can control when you first setup a game (more on that in a bit). As it fills up, your town will be subjected to zombie-related events at an escalating frequency. These events include attacks on your clan’s village and members of your clan getting infected with the zombie virus, which has to be cured or risk losing that NPC forever. All of these systems can be overwhelming the first time you start playing, and, indeed, it’s one of Zombasite’s biggest negatives. This is not a game to approach lightly; it requires going beyond the the quick on-screen tool tips and reading through community guides, the manual, and whatever other resources you can get your hands on so that you can have a reasonable notion of what exactly the title is asking of you. After a few hours of playing and starting over multiple times, you’ll then be at a point where you can start grasping at the best way to play this game. Obviously your mileage will vary with how long it takes you to get a good feeling of everything that’s going on in this game, but it’s something that will take some time and feels like it’s more due to a lack of clear tutorials than design. Fortunately, you’re free to start over as often as you like with the same character, all gear/skills/experience you’ve acquired, and any NPCs in your clan that are still alive. In some ways, Zombasite reminds me of Dark Souls. Defeat isn’t always a bad thing as there’s a lot you can learn from failing that carries over into your next playthrough. Maybe next time you’ll look at an NPC’s characteristics and personality traits before recruiting them into your clan. Maybe you’ll be more mindful of which quests will expire and what the consequences of that will be. Learning how to get your clan going and how best to spend your initial few hours in the game is half the battle. Page created in 0.4337 seconds.